Amidst all the horrible, horrible news coming from Israel, there is something of particular relevance to this website's discussions that is small, but positive and of potentially great significance. I am referring to the charedi world's reaction to the current crisis. In the past, I had reasoned that the lack of concern in the charedi community for Gilad Shalit was due to their not feeling him to be part of the community. But the three teenagers were likewise not part of the charedi community. Perhaps the extraordinary horror of children being snatched enabled this to transcend divisions. Another possibility is that the charedi world would have expressed more concern for Shalit, except that his status as an IDF soldier made it harm for them to do so. One is reminded of an earlier war, in which the late Rav Elya Weintraub fiercely opposed a campaign for people to pray for specific soldiers, due to concern that people will ideologically identify with the IDF. Yet as war broke out with Gaza, the charedi community seems to be displaying a great deal of concern for the IDF. I write "seems" as the precise focus of their concern is not absolutely clear. In previous conflicts, the charedi community has only prayed for the general situation, which threatened everyone, and not specifically for soldiers. (When there was a situation which only posed a risk for soldiers, such as the Battle of Jenin, the charedi community did not express any particular concern.) But in this conflict, the charedi media is reporting the Gedolim as calling on people to pray for the soldiers. It's not clear if this is charedi media spin; I have not seen any statement from charedi Gedolim which actually specifies soldiers, as opposed to the general population at risk. Still, even if it is just the spin of the charedi media, it is significant that the chareidi media wants to present it that way. How are we to account for this development? I can think of a few possibilities. Perhaps the fact that the Gaza rockets can reach Jerusalem and Bnei Brak helps the charedi community realize how much it owes the soldiers. Perhaps the fact that many charedim are connected to the media via the internet helps them be more connected to the soldiers. Whatever the reason, it is a positive development. Of course, it is still only a very small step. It is rather pathetic to have to praise a group of religious Jews for showing concern for people that are putting their lives on the line for them, when they refuse to share this burden and denounce those who try to enforce it as being evil. But even here, there is hope for change. If the charedi community is coming to realize the tremendous benefit and sacrifice that the IDF is making for them, they will hopefully also ask themselves why they should be exempt from making this sacrifice. A few months ago, we were hearing ridiculous claims that yeshivah students make a comparable sacrifice; after the events of the last few days, nobody is going to spout such nonsense. Related to this, there is one small news item that is of exceedingly great significance. Rav Steinman was asked if yeshivah students need to flee from the danger - does not Torah protect? Rav Steinman's answer was that they do indeed need to flee, because perhaps Torah only protects when it is learned with a degree of lishmah (dedication) that we cannot presume to have attained. This, of course, leads to the obvious conclusion that since yeshivah students cannot assume that their Torah protects, there is no justification for their avoiding army service on these grounds. Hopefully, at least some people in the charedi world will realize this. If you'd like to help the soldiers and people of Israel in the current crisis, then I strongly recommend my amazing local charity, Lemaan Achai. They are providing food, clothing and kids' activities for families from the south. They are also helping soldiers stationed in Bet Shemesh with Shabbat meals and such. Lemaan Achai has also set up an English language hotline, nationwide, in cooperation with Magen and Merkaz Rakefet, for people dealing with all forms of trauma due to the war. You can donate via Paypal at this link or via credit card at this link; just select "Emergency Response Campaign" in the drop-down menu. May Hashem keep all our soldiers safe and help them be victorious, such that no family should ever have to mourn a loved one being lost in battle. .. or perhaps there has been no change at all, except in your mind. The chareidi tzibbur has always identified with the suffering of other Jews. You apparently did not notice the 3 pieces of evidence that I presented. Is there any point when you stop with your stupidity!! Every single careidi cares ,learns ,davens,does chessed and more for the soldiers .Your "evidence" consists of YOU not remembering the caring of chareidim for shalit and jenin .Get real and please stop. While all the chiloni papers and tv have noticed the chareidi caring You are still stooping to hatred. Look at the wonderful chessed being done at Beit Tefilla where they have babysitting and food programs for chayalim and their families stop always searching for the negative !!! Call me a cynic, but I suspect that a large part of the motivation for their current response is to make up for how insensitive they are appearing to the rest of Israeli/Jewish society. When in the past you've been lambasted for not showing the least appreciation for the sacrifice of those who risk their lives for your safety, it behooves you to try to correct that image somewhat and demonstrate some decency and appreciation at the soonest opportunity. I highly doubt this is a real change of heart, it's mostly just a strategic PR move. You actually think the core decision makers for CHaredi society sit on the internet and blogs finding out what people think of them. They have no idea what has been posted on this website and they do not feel this animosity, except from Lapid and his ilk. It is not a change of heart... THEY HAVE CARED ALL ALONG. People interacting with actual chareidim know this. A typical chareidi feels pain when he hears of a slain soldier, and has their safety in mind when he davens. What do you suppose would have happened if the Tribes of Reuven and Gad had sufficied with Tehillim gatherings and name collecting? Do you have a link about the Chareidi indifference to the Battle of Jenin? Could it be that they are now identifying with the army because some of their own, although a very small amount, have enlisted? My experience is admittedly anecdotal but I davened a number of times in Chareidi minyanim during those 18 excruciating days of search and did not encounter extra Tehillim while my home community was completely mobilized. I found it deeply hurtful and alienating. But let us be cautious and rational. This is a central issue which speaks to the heart of our connectedness. It is an essential element for future survival. Our approach to this question should be systematic and not liable to the biases of anecdotal evidence. Choose 10 representative Chareidi institutions. What were the events that merited the addition of extra Tehillim in the past 12 months across these institutions? This might not be the time to argue this out. I identify with a comment to the "Black Dome" post that calls for a ceasefire to divisive comments during this period of trial. It is a time that calls for extra love and forgiveness towards our fellow Jew. Still, it is precisely during times of crisis like this that the ideological divisions are revealed to be major tears in the fabric of our society. And it must be confronted and addressed. But first let us determine if the evidence really bares the claim that there is general indifference to the danger faced by Jewish soldiers fighting for all of us. Honestly, I just don't understand. If – לשיטתם – prayer and Torah learning are our primary weapons – then where is the parallel call to arms? How is it explained in Chareidi circles? My theory is that the extreme backlash on the draft issue (and complaints regarding prayers for the IDF etc.) made them sensitive to how they were perceived. They also realized that the complains about prayers for the IDF were at least a tiny bit justified. One gadol or another made this calculation and everyone then followed (as is often the case in the charedi world). The reason they're saying Tehillim now: Perhaps because this Gaza battle came directly on the heels of the murder of the three boys. They were already saying Tehillim and very much concerned. One situation flowed right into the next. Regarding your claim that you have seen the "haredi media" specifically mentioning the soldiers rather than "the matzav," the change you saw was in the haredi-lite "Kikar Shabbat." I wonder whether one has seen similar wording in the "official" organs, YateI and HaPeles. I know that no such change has occurred in my neck of the woods, at least amongst the "haredi shtark" mechanchim amongst whom I daven. I would like to make a donation, the link you provided doesn't seem to offer a paypal option. Could you please link to that? Okay I fixed the post to provide a Paypal link also. The PayPal link doesn't work. There is no change in the official chareidi position. You are like a leftist disecting every word of the Arabs looking for a change. Also, a 17 year old isn't a boy. Referring to him as such projects weakness and sissynes. My uncle fought in the Red Army at this age. Many who fought in the underground and in the War of Independence were even younger. I don't get it - you handle leopards, tigers and lions so I would imagine you should be pretty brave, but you project weakness when it comes to fighting. I learned in the Mir when Gilad Shalit was in captivity and there were also 3 other soldiers which were "in captivity" (although feared dead) in Lebanon. This was in the summer of 2006. I recall that the names of these soldiers were relatively well known by everyone (especially by the wives of talmidim) and people davened for them. 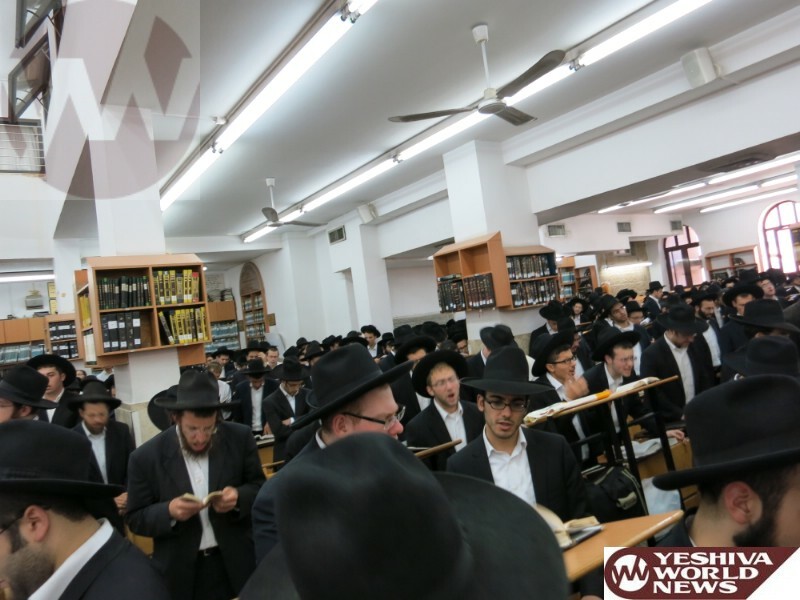 On another note, Rav Nosson Tzvi z"l called a gathering of the whole yeshiva after Haifa was hit with rockets with very tragic results. He personally stood & read out tehillim in tears - which, as many know, due to his parkinson's, was far from an easy feat. Bein Hazmanim vacation was officially shortened. I didn't experience this as "spin" and I don't think others did either. And this was 8 years ago. So maybe Haredi "concern" is not as new as presented here? There is plenty wrong within various sectors of the Jewish people. If you publish an article ostensibly showing some positive developments, the intense questioning of the motivations sort of cancels out anything positive. Davka now, it seems like a good time to focus more on the positive. I believe there is some misunderstanding. The current crisis is direct outcome of Shalit deal backed by our Gedolim, therefore they should share a responsibility on it, including the victims. 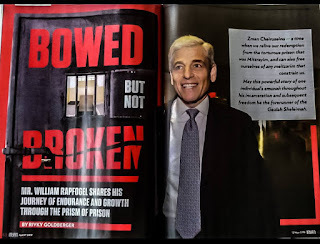 The Gedolim obviously would like to escape for the responsibility. Therefore it is very important for them to make image of all the Jews lovers. This is not improvement. This is like a circumcision of Shekhem inhabitants (from Dina story) which was not a mizva. Regarding the difference between the kidnapped teens, and Gilad Shalit. The captured teens are Shomer Torah and Mitzvot, Gilad Shalit is not. Yes, yes, I know tinok shenishbah and all that, but it does make a difference to how some people respond. The Haredi world hasn't changed 1 bit. They still are unwilling to give any thanks to teh IDF. See for example this article זאת לא כיפת ברזל, זה הקב"ה.
I am currently learning in the mir and i can tell you that are signs up in every bais medrash with the names of injured soldiers to pray for. today, many people in the mir put together tzitzis to be sent to soldiers in gaza who had requested them. From speaking to people its clear that the vast majority feel hakaras hatov to the soldiers and are genuinely worried about them. I didn't read the article, but in general terms, there is nothing wrong - and plenty right - in admitting that ultimately it's Hashem Who guides each Iron Dome counter-missile to its target. We can disagree about the mechanism by which this happens, but it is important to remember it and avoid a "kochi veotzem yadi" attitude. Shimmy Miller, that is great news! I hope that they will also now raise their children to actually join the IDF. Unknown- I did read the article and it is filled with the most weird concepts. Even the most ardent believer that everything is ocntrolled by the Almighty will be incredulous at the author's assertion that the Iron Dome is not be thanke for saving countless of lives. It is the Almighty that should be thanked and only the Almighty. Well, pray tell me, how does this work? Some imagined giant dome that is sent down from heaven? If the author's belief is so strong, why is he in Jerusalem and not in gaza? Why did so many chareidim flee Ashdod? We have plunged headlong into an imagined superstition that have little to do with faith. Clearly, we thank the Almighty for His mercy bt it isup to us to do the normal things in life and do what we can to defend ourselves. Okay, so they go to extremes. We know that. It doesn't mean the basic principle is wrong. In times of extreme stress and fear, all peoples will believe in doing and hoping for what is right. It is in days of peace and tranquility where real gratitude and appreciation lie will be known.
" It is rather pathetic to have to praise a group of religious Jews for showing concern for people that are putting their lives on the line for them, when they refuse to share this burden and denounce those who try to enforce it as being evil." No-one is forcing you to praise it. Just acknowledge it and stop slandering an entire community. Coming up with all sorts of political motivations to explain away their show of concern is just more politely disguised slander.. Undoubtedly a lot of the sudden "change in heart" in the Charedi world is a PR move. They've realized that if they just would have done simple things, like the tefillah le'medina, tefillah l'chayallim - kleinikeits that require nothing more than lip service - they wouldn't be in the pickle they currently are in with the draft situation. So the current crisis is therefore a good opportunity for them to change things. Not to say that every charedi is so cynical. I'm sure many of them have, really and truly, begun to realize how bad they look, and how hollow the claims of "torah protects" sound. Such people are singing a different tune, not because its good PR, but because they've actually woken up. Rav Slifkin, I am very surprised to see you write that you believe "the dati-leumi community would have shown less concern had the [kidnapped] boys been charedi". No one would suggest that the Religious Zionist/Modern Orthodox community is perfect, but it can hardly be contested that they do tend take a far more inclusive view of the body of Orthodox Judaism than do their clannish chareidi counterparts. Accordingly, I think don't think it's unreasonable to suggest that they would be far more likely than chareidim to show appropriate concern for "acheinu, kol beit yisrael, hanetunim betzarah uvashivyah" even though they might wear kipot of a different color. Do you disagree? I agree 100% with what you wrote. But it doesn't contradict with what I wrote. They would have shown great concern - but less than they showed in this case. I think that everyone who has seen the chayalim singing "anachnu maaminim bnei maaminim" before going to risk their lives in battle, knows who the real tzadikkim and heroes are. I think everyone who hears the stories of the men who gave their lives today and for the last few days knows who the real heroes are. And when I say everyone, I am referring as well to all the chareidi youth who see the videos on youtube or the pictures in the newspapers, and think to themselves "really, who are we kidding? By the way, another amazing eay to donate is to donate tzitzit for the soldiers and other items distributed through the idf rabbinate. To the extent that we mitzvot fprovide actual physical protection, I would submit that helping improve the morale and mitzvos of actual soldiers is an amazing opportunity, especially for those of us not in Israel. One can donate 12 pairs of tzitzis for $120. I think you're making a big mistake here. The charedi claim that Torah protects was only ever meant as a response to those who argue that Charedim do not contribute to the safety of the Medinah. This is as legitimate as ever even if they may not be learning totally Lishmoh. Notwithstanding this, every individual has an obligation to avoid situations that have a fair chance of leading to their death. The mitzvah to preserve ones own life does not fall away just because one is learning Torah. Similarly, the Gemara in a few places states that even though there is a principle that emissaries carrying out a Mitzvah are not harmed, nevertheless, where harm is likely - this guarantee falls away. So Charedim can still claim to contribute meaningfully to Israel's safety - and this is no way undermined by their rational fleeing of dangerous places. One has nothing to do with the other. You need to read my previous posts on this topic. If they can't contribute to security to the same degree that a soldier can, then they can't justify avoiding the IDF on the grounds that they are contributing an equivalent degree of protection. A solder does not go where he can be safe. He goes where his services are needed. As discussed in earlier posts on this topic, virtually all the sources and charedi authorities cited in support of the idea of Torah protection do indeed make it contingent on the geographic area where the Torah scholars actually are. Furthermore, Netziv explicitly states that the Torah scholars should go to the front lines. At the time of the first Lebanon War everyday tehillim was being said in Chaim Berlin Yeshiva. People think of initiatives, events happen fast and not everything is thought of by everyone or done by everyone.What is the indicator is that whether from one community or another the concern is sharply there for all. When Mizrachi Yeshiva students were killed by Arabs attacking some years back there was the same unity. Nothing has changed by the current situation only the fact that it is on a grand war scale. This is an absurd column and it perpetuates a belief that is clearly erroneous and fantasmagoric. The concept of "sakanat nefashot' can only be applied to a natural event or, at most, to a dangerous situation. It cannot be applied in case of a war. It is preposterous to argue that concept in a situation (war) that clearly will engender danger. If one would accept that "sakanot nefashot' is always the prime consideration, one would never go to war and/or engage in police operations. It is grotesque to say that. Hence, there is absolutely no excuse for anyone-including people who are learning Torah- from doing their jewish and civic duties and enlist in the army. or shmuel pappenheim's article in tmura about the lack of enthusiasm for putting overtime in yeshiva despite the war going on? I think it is worth taking note of http://shmiraproject.com I believe the program and the chareide haskamos speak for themselves. It may sound simple and naive.. But at the end of the day, we are going to have learn to get along. Lets appreciate and look for the good in each other. Finding the bad, and less desirable is so much easier , but probably not what HKBH asks of us..
You know what's an even better shmirah to keep these soldiers safe? Other people serving in the army also, so that these soldiers don't have to put in so much time. Please fix the paypal link so I can make a donation. I find it ironic that you expect the Charedim to share the pain of their Dati brethren (not to say that we shouldn't- of course we should feel the pain of all Jews! ), yet you can't feel the pain of Aaron Sofer's family to put up even one post encouraing people to daven and contribute to the search. There is a difference between people who are abducted and people who have hiking accidents, just like there is a difference between people who are abducted and people who are suffering from dangerous illnesses, even though the pain of the actual families in all cases is comparable. I haven't put up any posts about the latter, either.